Where would be computers today without all the entertainment. 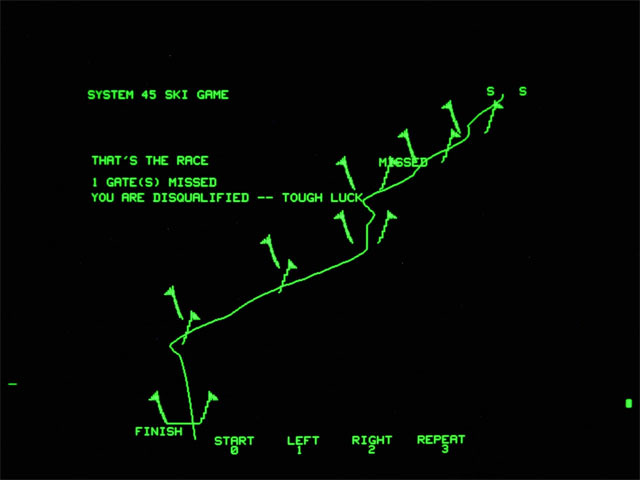 Isn't it true that computer games have been one of the most challenging applications from the very beginning? 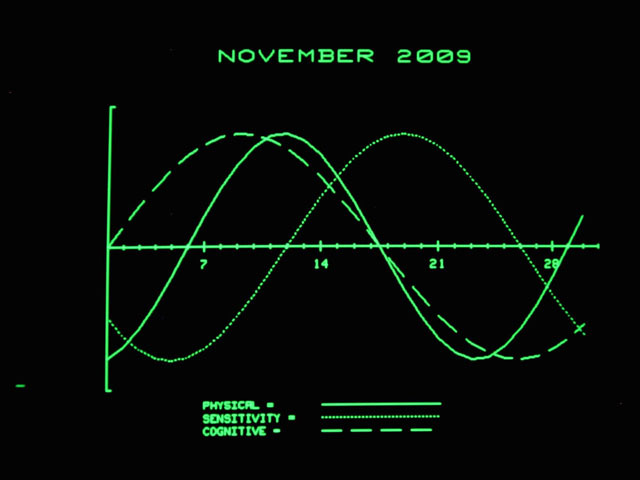 Who not remembers all the "Tennis for Two" on the oscilloscope, or "Spacewar" on the PDP-1, or the unforgotton Atari Pong? 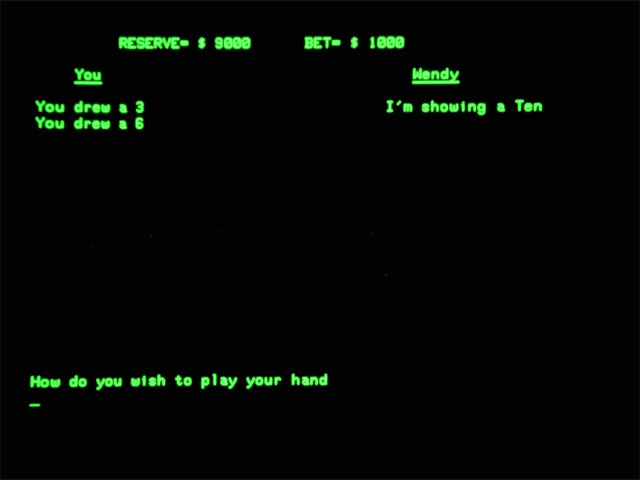 In the early days, the pioneers of computer gaming primarily used existing equipment, including mainframes and mini computers, to implement their ideas of computer fun. 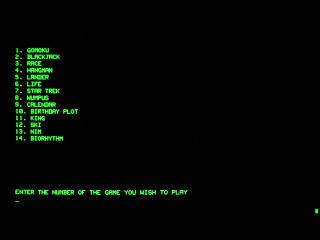 During the late 1960s and th early 1970s many text based games were developed for time sharing systems with terminal access. 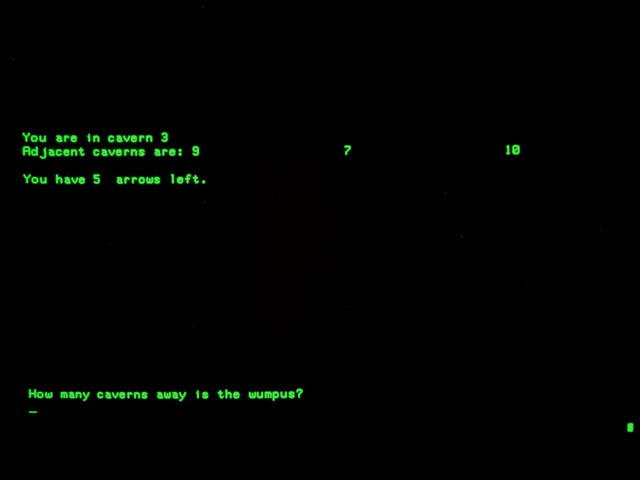 Important examples with ports to many platforms were Star Trek from 1971, which was created by Mike Mayfield in BASIC on a SDS Sigma 7 mainframe just after the first run of the original Star Trek TV show, or the Colossal Cave Adventure from 1972-1977, written by Crowther & Woods in FORTRAN for the PDP-10 minicomputer. 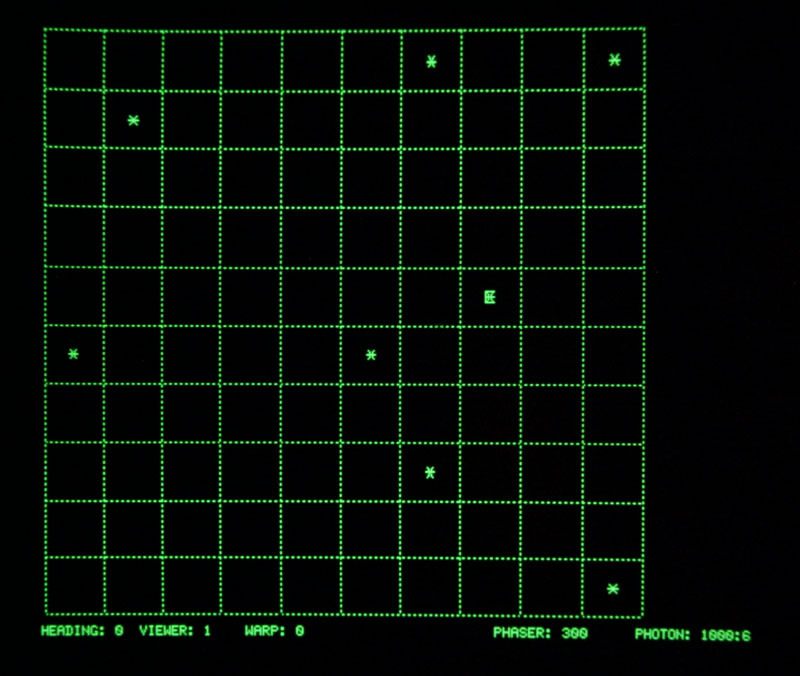 A more academic approach was John Conway's Game of Life from 1970, based on cellular automation, which also was and still is being ported in innumerable variations to many platforms. 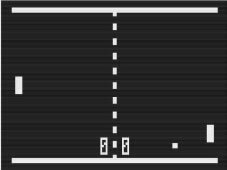 It did not last long until the first commercial attempts were made to make some revenue with the new technology, which founded a completely new industry, the production of so-called arcade games. Packed into a cabinet with controllers and CRT, those systems dominated the gambling halls from the late 70's up to the 90's and were the most serious competitors of the flipper machines. 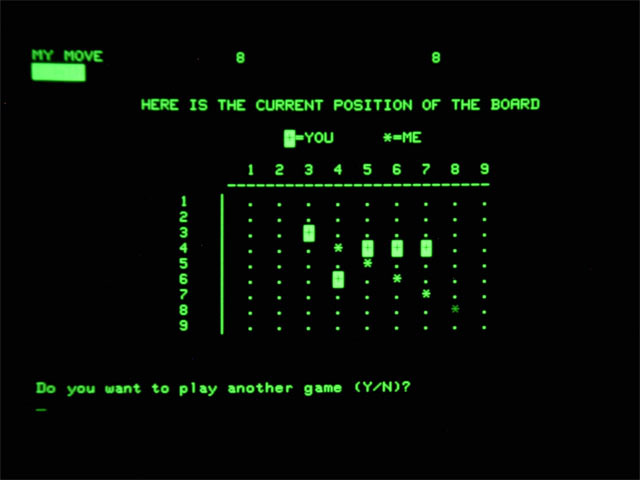 The first representative of this new species probably was the "Computer Space" game, created by Nolan Bushnell, who one year later succeeded with the much more palmy "Pong", and later founded the famous Atari Company. 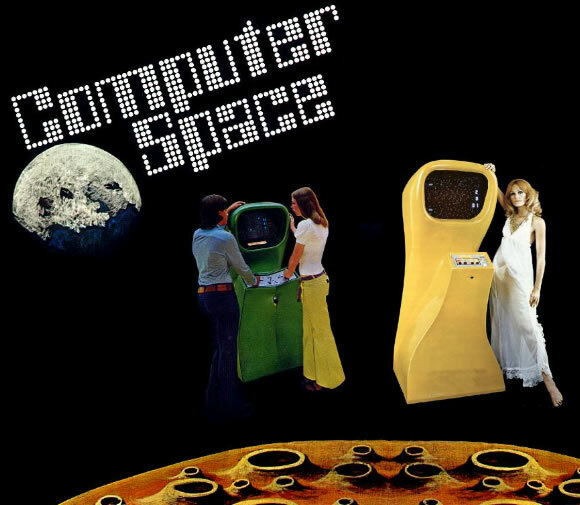 Although "Computer Space" in fact wasn't much successful, my personal impression is that with its stylish fibre glass design and the metallic finishing it had been one of the most trendy products of the time. 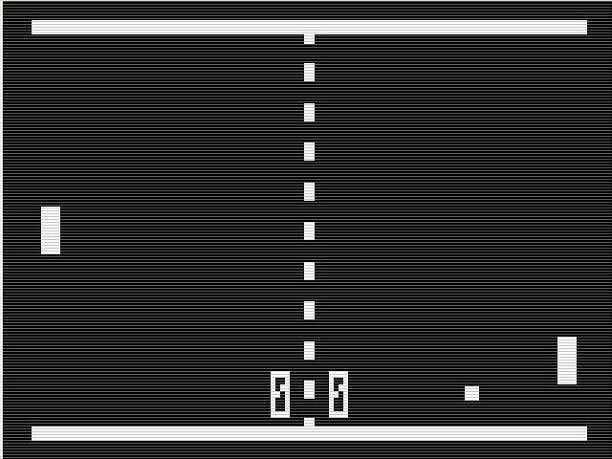 Nearly simultaneously dedicated home consoles like the Atari VCS appeared, which again succeeded most with the adoption of successful arcade games. 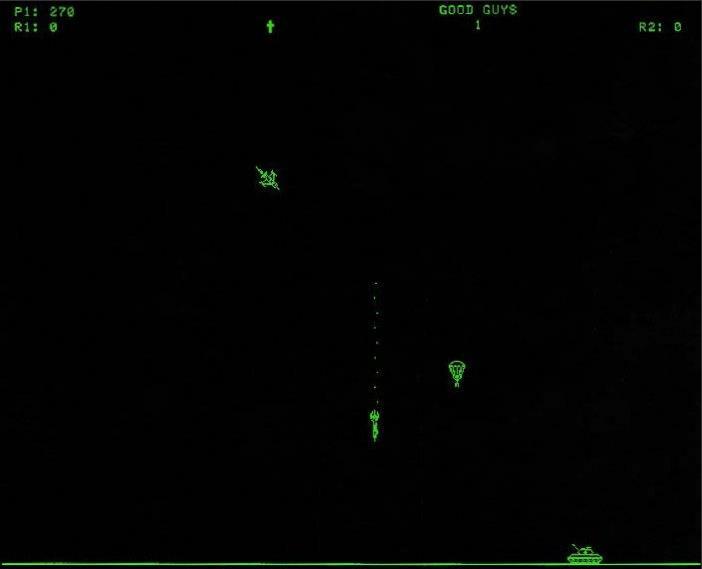 Popular arcade games of course were also subject to porting them to computer platforms, primarily on home computer systems like the Apple II, the PET, the Atari 400/800 and later the VIC20 and its successors. However it would be not fair to say video consoles and computers were only target for arcade game adoptions. 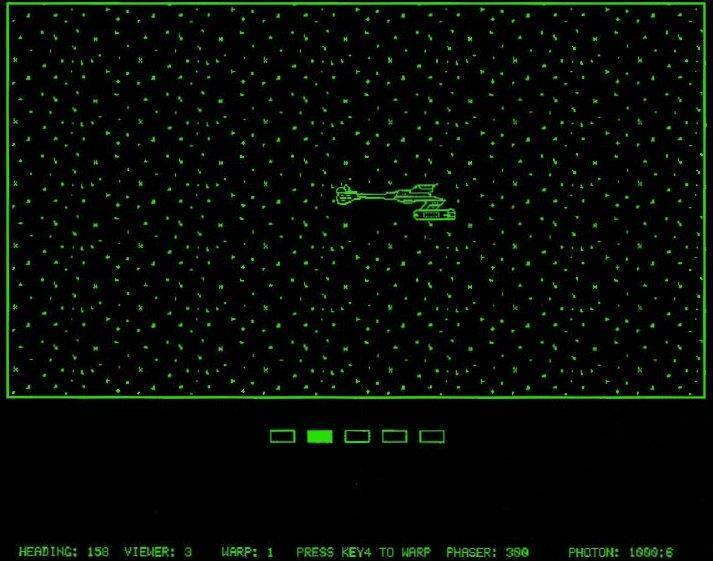 There were also computer games which made history, like (one of my personal favorite) Star Raiders from 1979, or the notorious Doom from 1993. 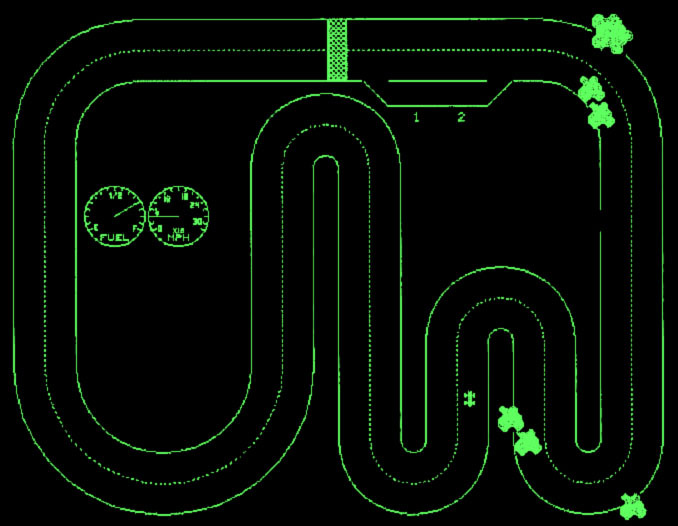 During the 90's, both personal computers and game consoles rapidly gained 3D graphics performance due to new types of dedicated graphics hardware and nearly completely displaced the arcade systems. 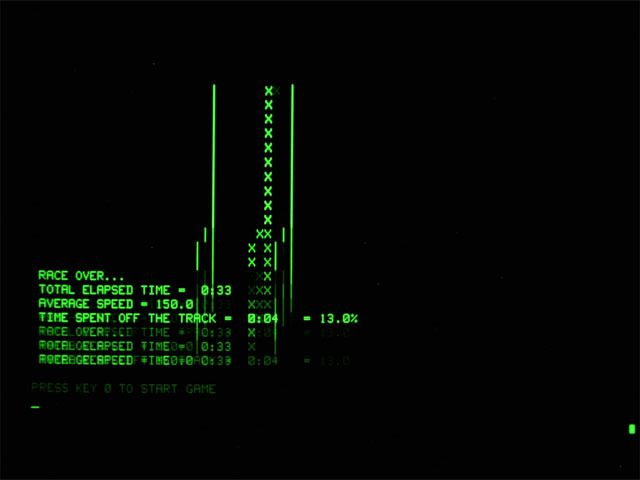 It would have been a real surprise if the at the time outstanding capabilities of the 9845 desktop series would not have inspired a complete series of computer games dedicated to those systems. 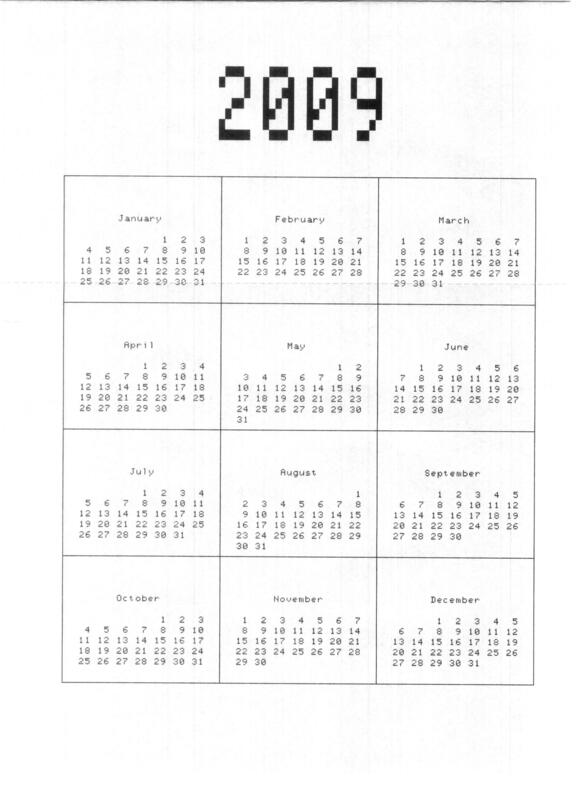 Even Hewlett-Packard itself contributed a tape, the so-called Computer Games Library, for the 9845A and 9845B series with a selection of 14 popular games like Gomoku, Hangman, Life, Star Trek or Nim. Most games were character based, but some use graphics for action-type animations. Special binary programs written in assembler provided the required speed. 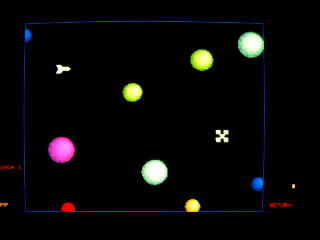 Even a couple of games were developed for the 9845C color system, like HPs Gravity game which is part of the 9845C Demo. 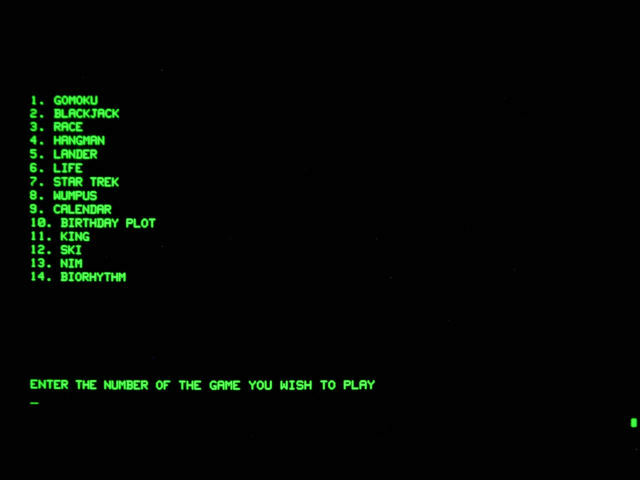 All together there are 70-80 known games, most of them ported to the 9845 from other systems and made available through HP's Exchange Program. It is true that the 9845 architecture wasn't optimized for fast screen animation. 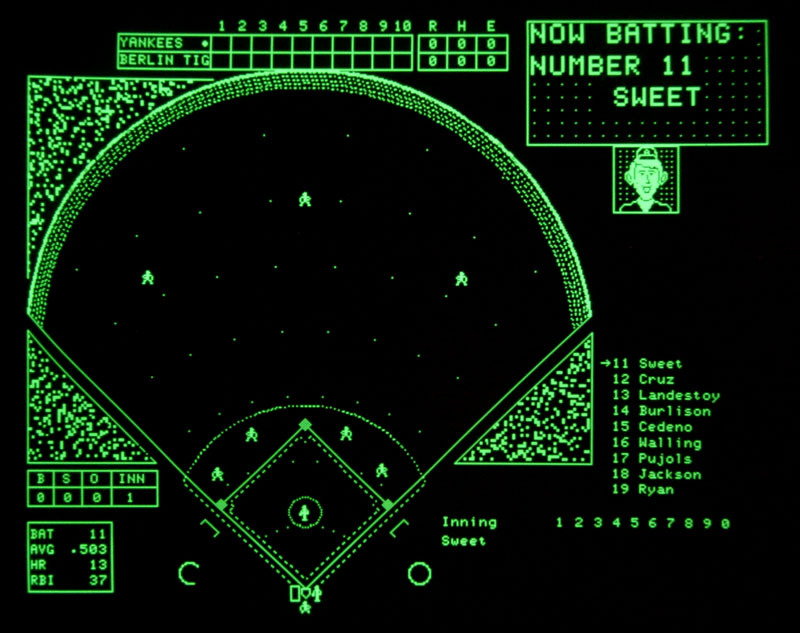 The text buffer was a bit tricky to use with machine language programs, and the unified approach to use graphics command primitives via the IOD bus limited direct graphics memory access for fast bit mapping. 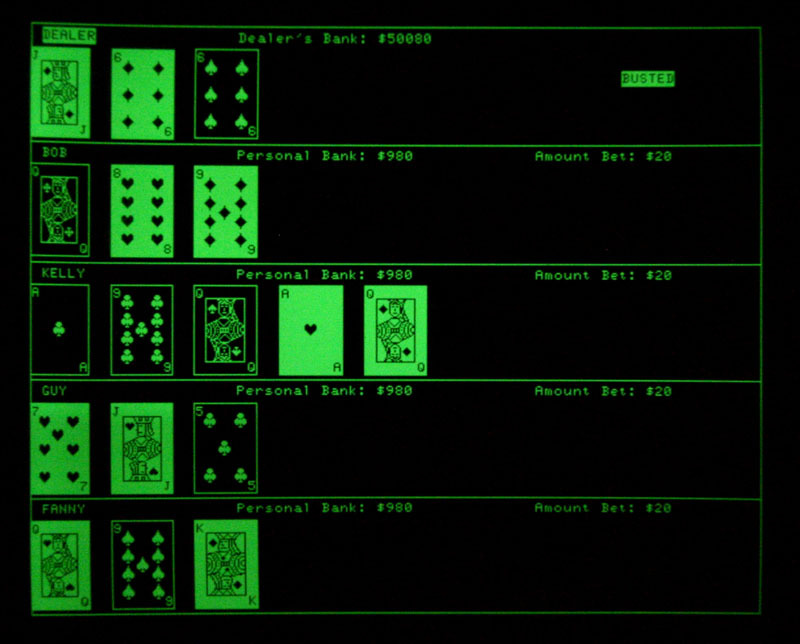 Anyway, games on the 9845 systems still make a lot of fun and take advantage from the high performance computing architecture. This section now is dedicated for presenting the most interesting games. 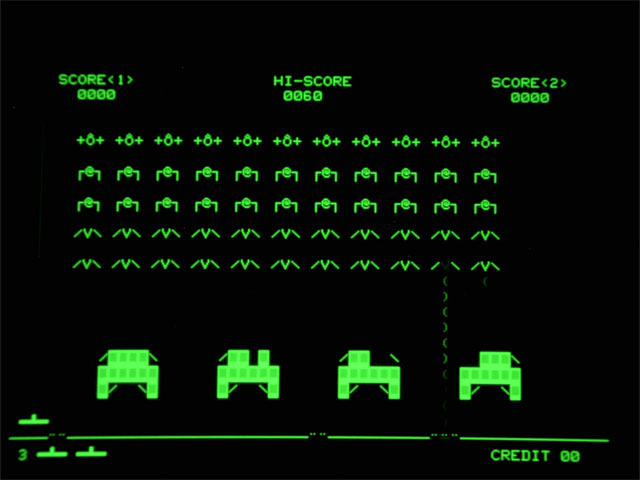 We are starting with HP's own collection of computer games, one of the very classics, Crowther & Woods Original Adventure game, the 9845 implementation of chess and Dog Fight, an arcade action game, and a self-brew port of the popular Space Invaders game. But more will come. 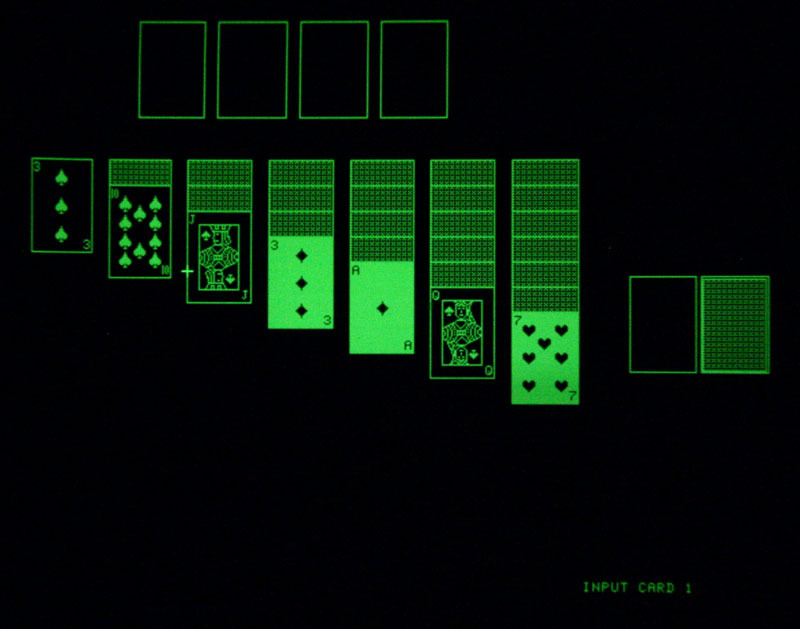 See also the new Tutorial on 9845 Game Design to get a better idea about the strengths and intricasies of the 9845 platform, including a sample implementation of one of the most successful games ever. When presenting the HP9845, Hewlett Packard did also publish a collection of nice computer games. The programs were shipped on tape (part no. 09845-10114) and - since they were provided in BASIC - could be examined and altered ad libitum. In fact they were also some kind of tutorial on 9845 programming. 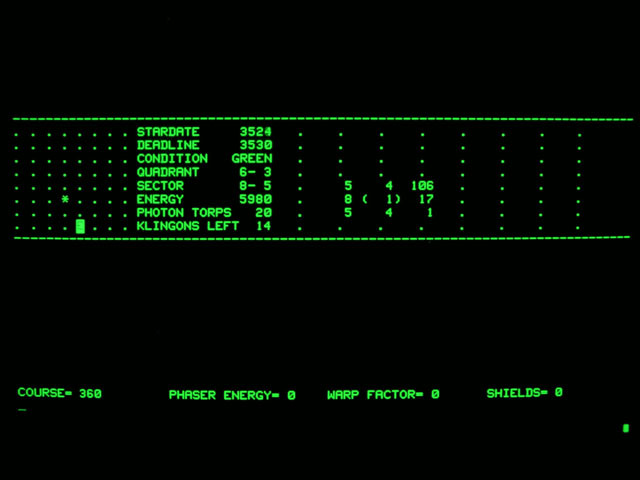 *) The enhanced version of the Star Trek game (file STREK2) was not part of the original 09845-10114 distribution. Load the menu program into memory with GET "MENU", then select the game you like to play. Most programs in the games library provide online instructions (some with hardcopy), however there is also a user manual available. See here for the Computer Games instructions manual. 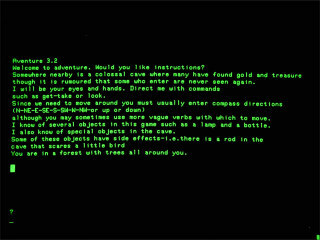 "Somewhere nearby is a collosal cave where many have found gold and treasure though it is rumoured the some who enter are never seen again..."
This is the introduction of one the the classics of all classics, the mother of all adventure games originally developed in 1972 by Will Crowther and greatly expanded/improved by Don Woods in 1977. 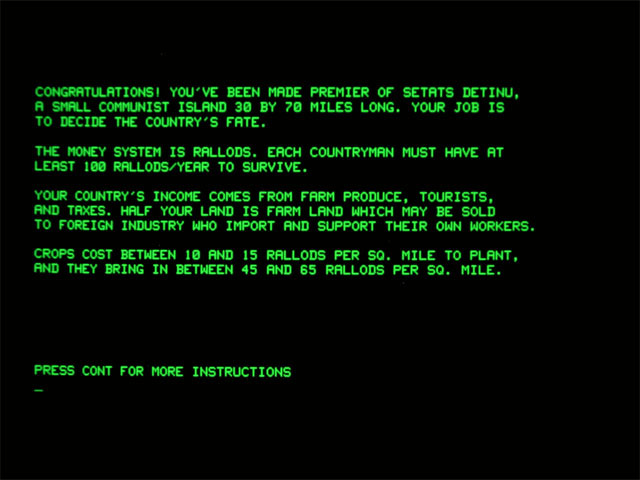 Crowther used the PDP-10 of his employer Bolt, Beranek & Newman (BBN) for developing this text based adventure game in FORTRAN. 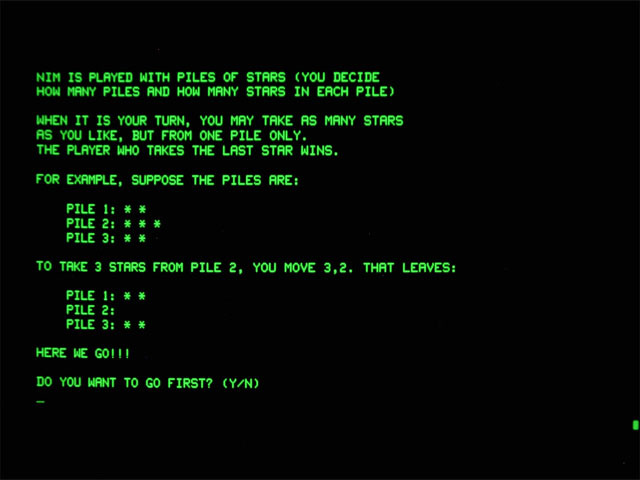 The source code of the program was split in two parts, the actual executable and the game data, each comprising about 700 lines of code. 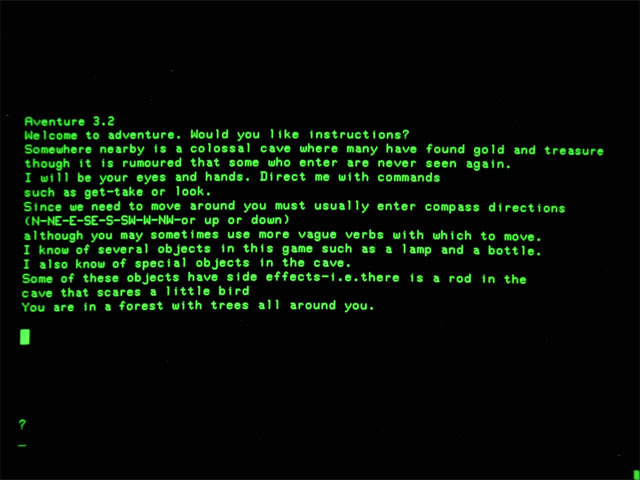 Since freely available for the community, the original Crowther & Woods Adventure game was ported to many platforms, first to C language for early UNIX systems (which was done by Jim Gillogly at the Rand Corporation), later to CP/M, DOS and many others. 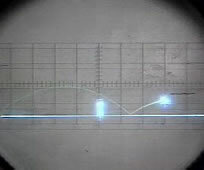 Also, several new versions were created which are commonly identified by the maximum score the player could reach. So the original Crowther & Woods Adventure was also known as 330-points Adventure, whereas expanded versions are known as 430-points Adventure, David Platt's version with 550 points from 1979 or Mike Arnautov's 660-point version from 1995. 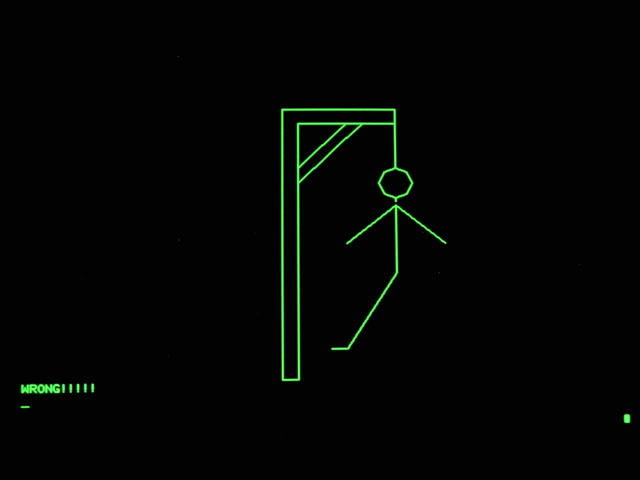 My personal encounter with this game was on a VAX11/750 in 1983, where we spent hours after hours on drafting cave maps, solving secrets and collecting items. Actually, this principle is still alive in modern editions of this genre. This 9845 program version probably comes from a BASIC port originally distributed by L. W. James and Associates for the 9845 series. 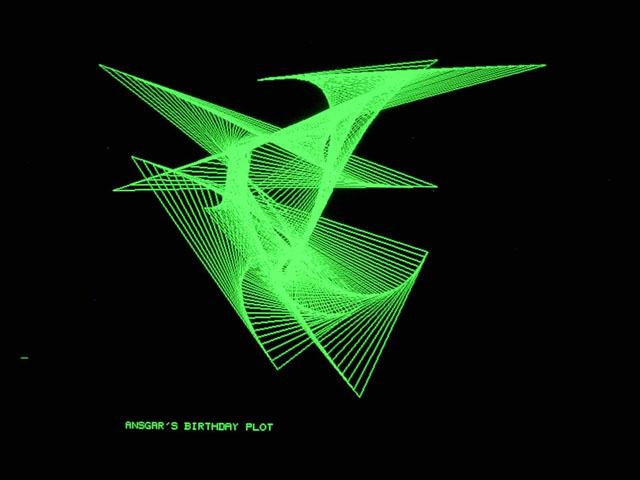 I found it on an old 9845A tape and made it available as a generic version for all members of the System 45 family. 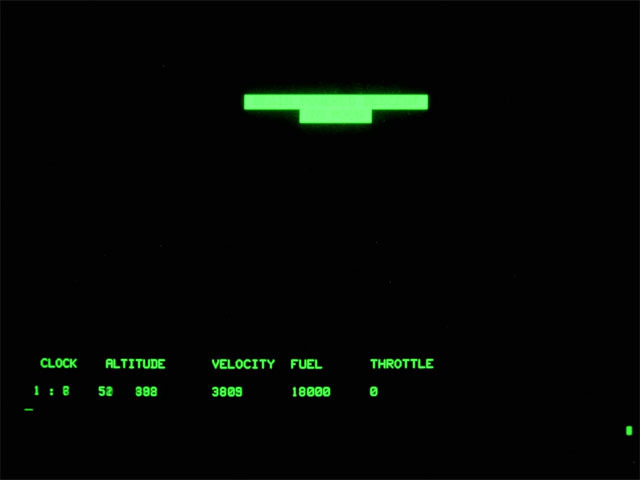 Actually, this game doesn't challenge the capabilities of the 9845 system in terms of performance or graphics, it is much more an homage to the pioneer era of computer games. LOAD the file "ADV" or GET the file "ADVENT". Then RUN the program and follow the instructions. Created: Around the year 1200 A.D.
No need to explain chess, but a few words about the 9845 implementation of chess. 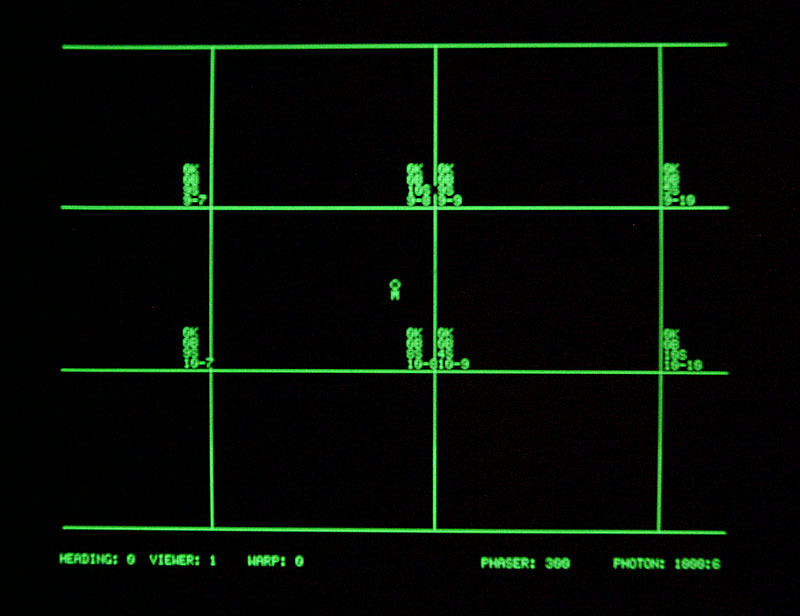 The first (known) HP 9845 version was from 1978 and completely written in BASIC, while using some plotting commands from a binary program (which is the reason why this version runs on a 9845A only). Another implementation was done with the chess engine in assembler and distributed by HP as part of the Assembler Demo package (which is the reason why this implementation requires one of the Assembly option ROMs to run). The chess engine was derived from an earlier implementation for the HP 9830. 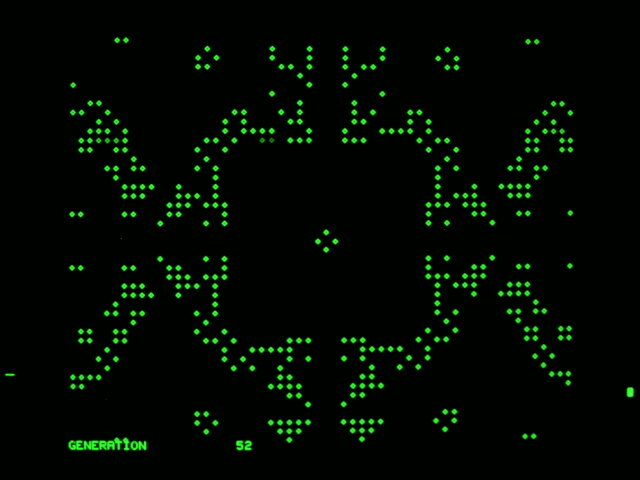 The Assembler Demo version used character graphics, another version which was programmed for the 9845C used the same assembler algorithm but real (color) graphics. For this lastest version I added on my own support for the HP 9845B with standard graphics option and arrow keys so that is is playable also without light pen. 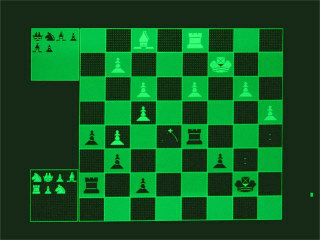 The implementation also provides three skill levels and setting up the chess board for continuing recent games or re-playing historic situations. And it has an option for letting the computer play against itself. I recommend using the PROG version of the chess program, since the GPRINT binary required for operation on a 9845 with standard graphics is automatically included. When loading the chess program source with the GET command you need to load the GPRINT binary manually with LOAD BIN "GPRINT". Without an enhanced or color graphics ROM being installed in your system, some error messages will be reported during load due to unknown graphics commands, which can be completely ignored. Load and run the program version of your choice (CHESS is the 9845A version, CHS21 is the 9845C version, CHS30 is the text version, and CHS40 is my graphics version, CHESS_ and CHS40_ are the DATA type versions lodable with the GET command). 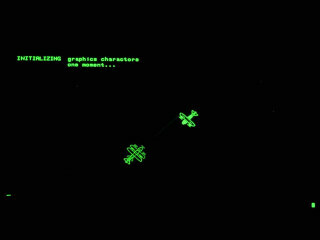 After skill level selection, use light pen or arrow keys with cross hair cursor to enter your move. 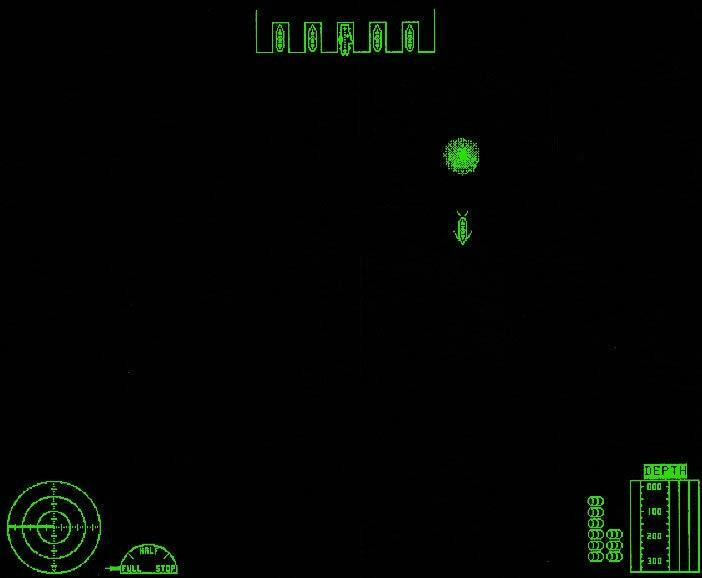 "Space Station X is counting on you, and you have only 15 supply capsules on board. Can you find a route through the complex gravity field surrounding these plants? 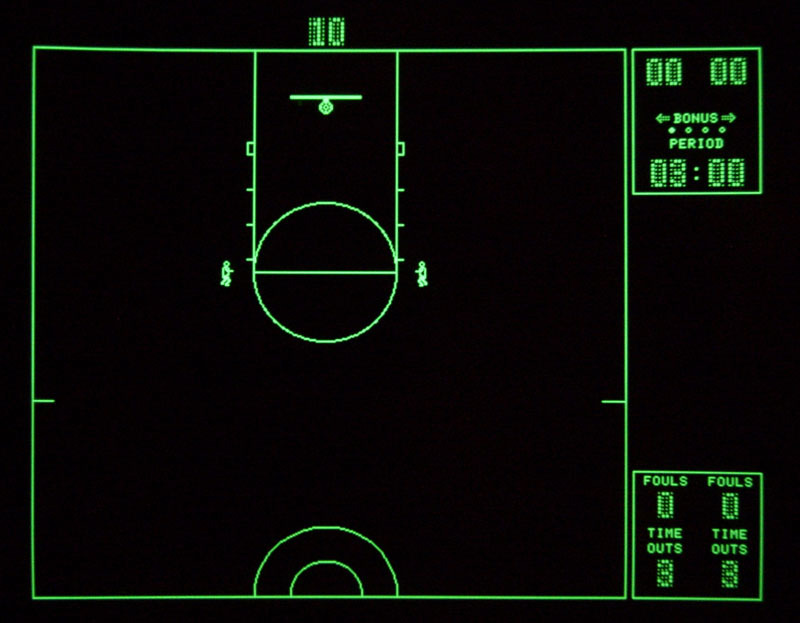 To pick a launch direction, first acquire the tracking cross with the graphics input device. Move it with the pen or stylus until it is some distance from your space ship, and press the key on the light pen or stylus tip switch. A tiny white cross will mark the position of your aiming point. 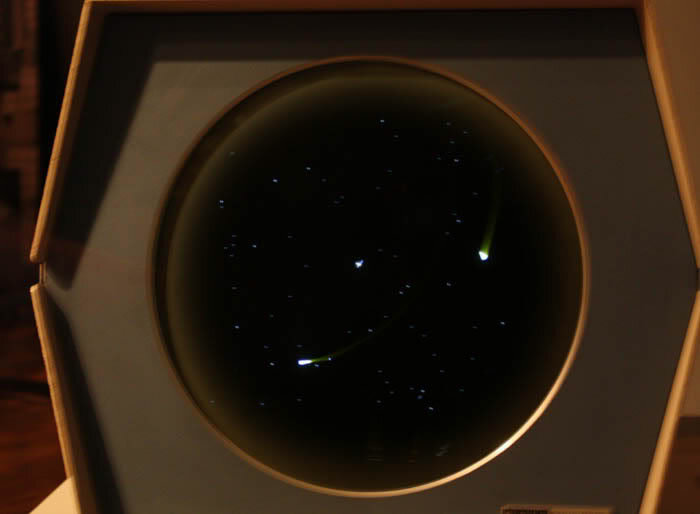 Although the supply capsule will be launched at your aiming point, it will be pulled this way and that by the gravitational fields of all the planets. 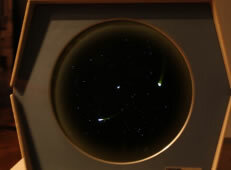 It can go a little way off the screen and still return, but if it leaves the system or impacts a planet you will hear it, and the cross will reappear over your ship." 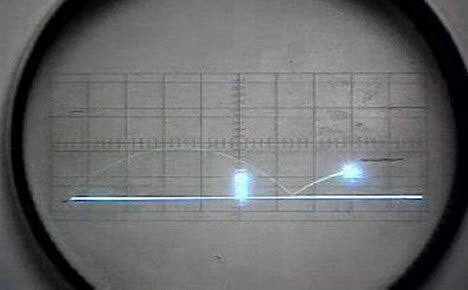 The game was originally designed for the 9845C with light pen, but it runs on any system with enhanced graphics ROM. Since the light pen is a rare item, I have added support for arrow keys, too. LOAD the file "GRVTY" or GET the file "GRVTY_". RUN the program and follow the instructions. 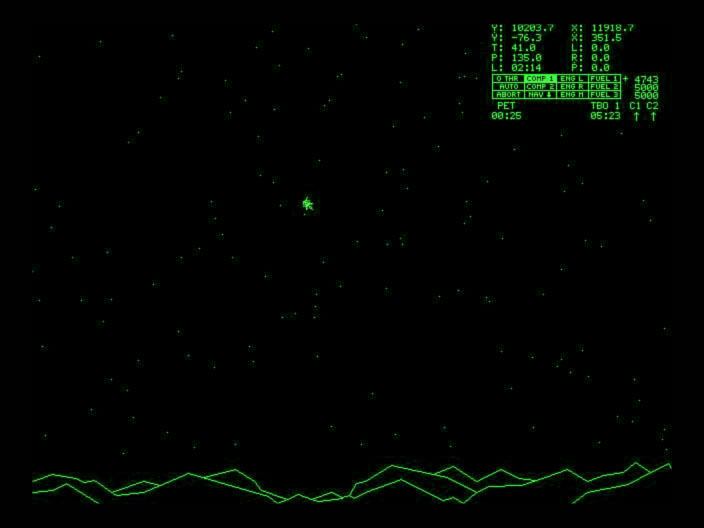 Yes, wow, there were also two realtime graphics games for the 9845, which, although mostly written in BASIC, made heavy use of shapes. Shapes (or sprites) were graphical objects which were drawn to the screen and moved around by machine language routines which were provided by the GPRINT binary program. 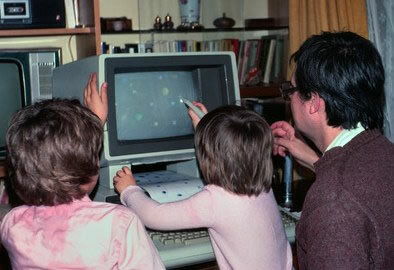 A technique quite popular on home computers of the time like the Apple II. Two games are known, both originally developed for the 9845A platform. One has been preserved, the other suffers from bad spots on the tape medium. The examples show also the limitations of the graphics concept of the 9845 workstations with respect to real time animated graphics. Load the game with LOAD DF45A on a 9845A or with LOAD DF45B on a 9845B (graphics option must be installed). Try to win the dogfight. Use SFK 0 for left turn, SFK 1 for right turn and SFK 8 for fire. See Terry Burlison's Site for another thrilling 9845 games development he did together with his friend Brad. 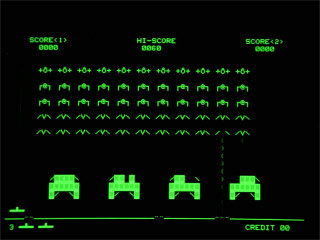 See the Tutorial on 9845 Game Design for detailed information on this game classic and its 9845 implementation. Then use LOAD or GET from the 9845 host system on the appropriate program file and RUN the game.